As a family run independent Opticians we strive to meet the needs of all our customers – including those for whom a visit to an Optician might seem quite daunting or perhaps even impossible. This could be the case for some individuals with Autism and learning disabilities. For example, there will be those who are unable to communicate any visual problems they may be experiencing. This could lead to frustration giving way to increased challenging behaviour which in turn may impede service access. 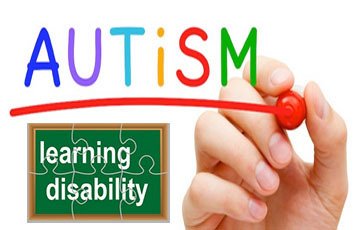 The practice is managed by Emma Douglas who is a Board Certified Behaviour Analyst (BCBA-D) with extensive experience and knowledge of Autism and learning disabilities. The Optometrist, Damien Douglas, has extensive experience of performing eye tests on individuals with Autism and other special educational needs. An eye exam should always be viewed as part of a general health check. Everyone should have a test at least every two years (annually in the case of children) even if they do not require corrective eyewear. Changes to the eyes can often be gradual and may go unnoticed. It is always best when problems are discovered early so that appropriate action can be taken. Enabling someone to have their eyes tested in a primary care setting reduces the need for more costly hospital eye service referrals. The benefits are not only to the health service, but the patient’s needs can be met more quickly thus alleviating any potential stress resulting from referrals into a more clinical setting where there may be less control over the environment. A successful visit may also open the door to accessing similar services in future such as the GP or dentist. Check out our blog and social media outlets for regular updates. To request an appointment contact us.